Ferrusquilla: "That statue of a composer…" | ¡VidaMaz! Ferrusquilla: "That statue of a composer…"
Mazatlán is privileged to have a strong and vibrant expatriate community, many of whom volunteer long hours to help make our city a better place in which to live. Many in the foreign resident community have of course grown up and lived most of our lives elsewhere. We love our adopted home, but we often lack basic “cultural literacy” about our adopted homeland. I put myself in that category, of course. Every day, many times a day, I learn something new. It’s part of why I love living here. The note surprised me, because I figured everyone who lives here knows our beloved Ferrusquilla! But, of course, we don’t “all” know anything; we all have different pieces of information. I see Don Ferrusquilla once in a while, dining around town or taking a walk, and I loved his INCREDIBLE acceptance speech at the Premios Oye! last month (drag the play bar to 6:46 to skip the homage and hear the original poem he wrote just for the occasion, full of love for our fair city). 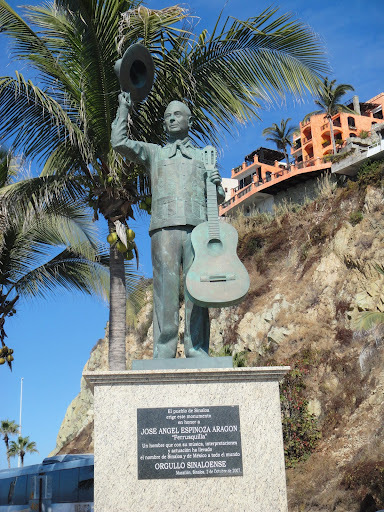 But, of course, we all hold differing pieces of knowledge, so I thought I’d share a bit of what I know about this “Sinaloa composer holding his guitar and sombrero” in the statue. Maestro José Angel Espinoza Aragón, “Ferrusquilla,” is a national cultural icon, famous throughout all of Latin America and Spain, and one of the greatest orgullos of Mazatlán. The United Nations awarded him the the Medal of Peace in 1976, the University of Sinaloa presented him with an honorary doctorate just a few years ago, in 2008, and he’s received many other distinguished awards during his career. His “master work” is the composition “Echame a mí la culpa,” sung by most every well-known Spanish-language singer (here it’s sung by Amalia Mendoza, “La Tariacuri;” or this one sung by Javier Solís). The song inspired a Spanish movie of the same name, and decades later (in 1980) was still so popular that it won “song of the year” in Spain, as sung by Englishman Albert Hammond. Ferrusquilla has acted in 80 motion pictures alongside actors that expats will recognize such as John Wayne, Clint Eastwood, Dean Martin, Boris Karloff, Richard Burton, Anthony Quinn, Brigitte Bardot, and Robert Mitchum, and has composed, to the best of my research, 97 songs. José Angel Espinoza Aragón was born in Choix, Sinaloa on October 2, 1919. After his mother died his father moved the family to El Guayabo and then Los Mochis, where his father remarried. In 1935, after finishing junior high, his family sent José to study in Mazatlán. In 1937 he got on a train headed to Mexico City, to study medicine, but life didn’t quite work out according to plan. According to one interview, in 1938 the young José was working a side-job at a radio station, one that broadcasted the popular late-afternoon children’s show “Fifirafas el Valoroso.” The role of “Captain Ferrusquilla” on the show was originally played by the head technician, Carlos Contel, brother of the station manager. After Carlos’ brother told him to choose whether to be a voice actor or a technician, the show was left without a Ferrusquilla. José had the good fortune to be present in the studio when the director, panicked, asked around for a male who could read the part. Thus, by fate, the “man of a thousand voices” with the nickname “Ferrusquilla” was born. Ferrusquilla fell in love with the female lead of the radio show, Blanca Estela (María Blanca Estela Pavón Vasconcelos). According to this same interview, the two lived in New York for a year, dubbing the voices of actors such as Ingrid Bergman, Elizabeth Taylor, and Mickey Rooney. Blanca died tragically in a plane accident in 1949. After her death Ferrusquilla decided to commit himself to music, and composed his first song in 1951. Ferrusquilla married and had two daughters with Sonya Stransky Echeverría in the 1950s (the marriage lasted five years). He tragically lost another loved one, his daughter Vindia, in a car accident in Mexico City in 2008. His daughter Angélica is a successful actress. He has said that his daughters have been the joy of his life. By the way, the statue of Ferrusquilla, on the malecón in Olas Altas, made by artist Carlos Espino, was unveiled in time for Ferrusquilla’s birthday, in October of 2007. Fellow foreign residents of Mazatlán: let’s all, proudly, be sure to call this landmark the “statue of Ferrusquilla”!!!! And, Mazatlecos and fans of Ferrusquilla: please teach all of us more about this incredible gentleman, sharing your life memories of the legacy he’s given us! 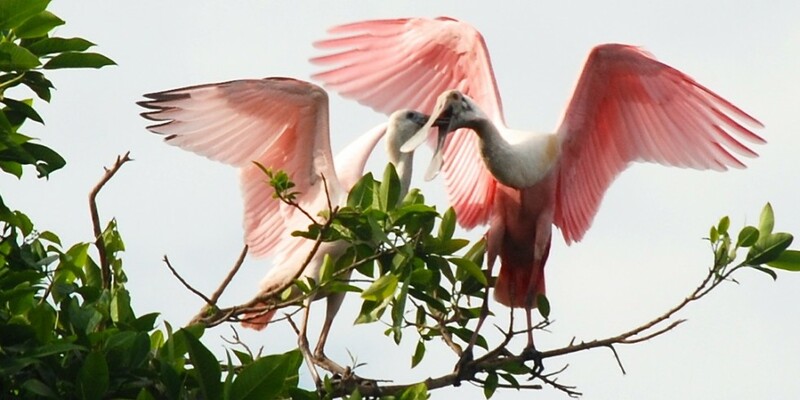 Note/Update: Jackie Peterson wrote an article on Ferrusquilla in the Pacific Pearl last year. Somehow I missed seeing it, but you can check it out here. And one of my friends has given me the Maestro’s number and asked me to give Ferrusquilla a call, to let him know about this post, so I will do that as well. Update #2, March 5th: I met Maestro Ferrusquilla tonight. What a great man! He told me that in his younger years, he played for a year with Banda El Recodo, in the Cruz Lizarraga days, before he went to Mexico City and did the radio show. Cool trivia! He is a really nice and VERY interesting man and his English is GREAT! It felt very good to finally get up the courage to talk to him, and to have the honor of finally meeting him. So much to learn about this great city. This guy is one of the nicest anyone will every meet in Mazatlan. His personality quietly fills a room and he is distinguished in a way that is dieing in modern society. Thanks fr the great post. I so agree, Greg. 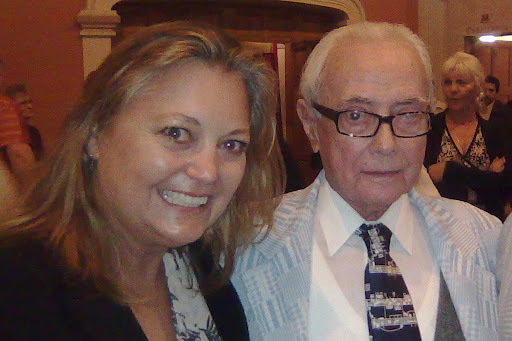 When I have had the pleasure to speak with the Maestro, his smile lights the room and he is very gentle and kind. I feel so privileged to know he represents this city we so love! So glad to know you enjoy it, Barbara! Thank you for your kind words. We are truly blessed to live here. Pingback: Behind the Chamber: Mozart and His Women | ¡VidaMaz!